Learn about William Shakespeare, the world's most famous playwright, and enjoy our colouring pages and printable activities, puzzles and worksheets. William Shakespeare (1564–1616) was an English playwright, actor and poet, and is widely regarded as the greatest English writer of all time. His plays have been translated into more than 100 languages and continue to be performed around the world to this day. He also introduced nearly 3,000 words to the English language. Find out more about this talented man who continues to influence our lives over 400 years after his death. Although William’s exact birth date is uncertain, it is traditionally celebrated on 23rd April – the same date that he died, aged 52. William lived during the reign of both Queen Elizabeth I and King James I. Both these monarchs went to see his plays, and were said to be fans! 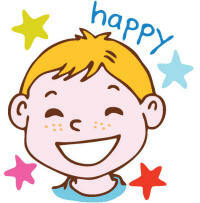 William went to the local grammar school where he studied history, Greek and Latin. At 18, he married Anne Hathaway (aged 26) and the couple went on to have three children together – Susanna and twins Hamnet and Judith. Sadly their son Hamnet died, aged 11. After the twins were born, William went to London to work as an actor, leaving the family behind. He joined an acting group called Lord Chamberlain’s Men. William also wrote plays for the group, which became very popular. Some of these early plays include The Taming of the Shrew, Richard III, Romeo and Juliet, and A Midsummer Night's Dream. 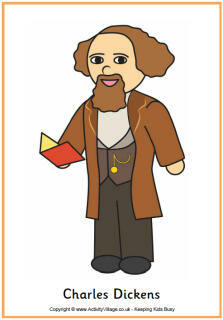 William wrote different types of plays – comedies (funny), tragedies (sad) and histories (about real people’s lives). Women weren’t allowed to act at the time, so men or young boys played the female roles! Lord Chamberlain’s Men performed at a theatre built on land owned by Giles Allen. Although the group owned the theatre, when the land’s lease expired in 1597, Giles refused to let them perform and wanted to tear the theatre down. When negotiations failed, some of the actors devised a plan to dismantle the theatre and move it across the River Thames. They built a new theatre called the Globe, which could accommodate up to 3,000 people and became very popular. At the time, many people couldn’t read or write, so the Globe Theatre hung a flag outside to show what type of play was being performed – a comedy (white flag), a tragedy (black or dark flag), or a history (red flag). In 1603, when James I became king, the Lord Chamberlain’s Men changed their name to the King’s Men and King James became the group’s patron. Many people think that some of William’s best plays were written during these years, many of them tragedies such as Hamlet, Othello, King Lear and Macbeth. 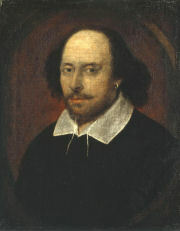 William wrote nearly 40 plays as well as poetry, and poems called sonnets. His work combined with his property and land investments made him very wealthy. He bought a large house in Stratford-upon-Avon for his family, where he retired, aged 49. 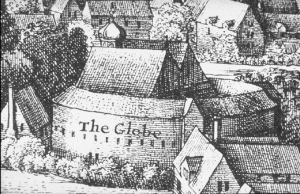 In 1613, the Globe Theatre burned down when the thatched roof caught fire during a performance of Henry VIII. It was rebuilt the following year with a tiled roof, but was later demolished during the Puritan era (when all theatres were closed) to make room for housing. Some 350 years later, a modern version was built, opening in 1997 on the banks of the River Thames. William died in 1616, but his legacy lives on. In fact, many of his words and phrases have become part of our everyday lives. 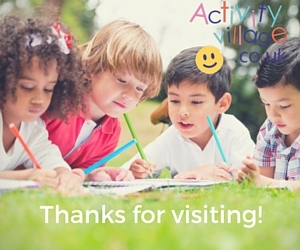 Have you ever talked about ‘being in a pickle’ (being in trouble), going on a ‘wild goose chase’ (a search for something that isn’t there), having a ‘heart of gold’ (being kind) or trying to ‘break the ice’ (to strike up conversation with a stranger)? Then you are using the words and phrases of this great playwright! have greatness thrust upon 'em."